This is the second book in the Dark Water's series. 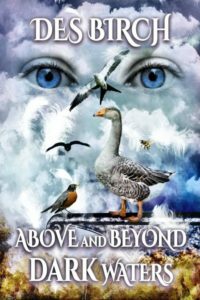 It sees Jane, a twelve year old girl who loved to read about superheroes, suddenly able to fly through the sky and rest on the rising thermals. However, Jane soon discovers that all creatures are affected by life's challenges and she works hard to fit in and learn. After deciding she no longer wants to become a superhero, Jane is told that she is one already. Another tale charting the rocky road through the rite of passage into adulthood. The chant became louder as it crept through the hive, increasing the tension. It seemed to have had a tune to it with the first beat being emphatic: dum da-da-da, dum da-da-da. I tried to lean out of my cell to get a better view, but I found that my bottom was glued to something. I twisted to break free, only to be tangled by the silky glue. Then the first word of the chant became clear: spin da-da-da, spin da-da-da. The sound became louder and I realised that as I twisted, more silk appeared and I was becoming wrapped in its gentle fabric. I spun around again and again, feeling secure in its soft embrace, while all the time the chant continued. Then I noticed one of the workers had begun to seal up my cell and I realised that I would soon become a bee. The tune got louder and, as it reached my part of the hive and the workers all joined in, the words became clear. This is a good book. I think I need to go back and read book 1 first. I started with book 2. Jane learns that it's not as easy as she thought about fitting in. It kinda reminds me of high school. There's different groups of kids that hang together. The first book I ever read by this talented author was the first book: Beyond Dark Waters. I gave it 5 stars because it was highly original and well written. 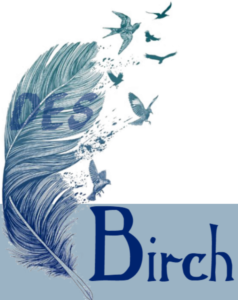 Author, Des Birch received the ePublishing Consortium Writer Award of Merit for that book. I've been asked many times what species I'd want to be if I had a choice. My answer is a bird. This is possibly one reason I love this book so much. Read this wonderful book and you'll quickly see why I say this. This is a 'stand alone' novel and I highly recommend you read this book and book one!